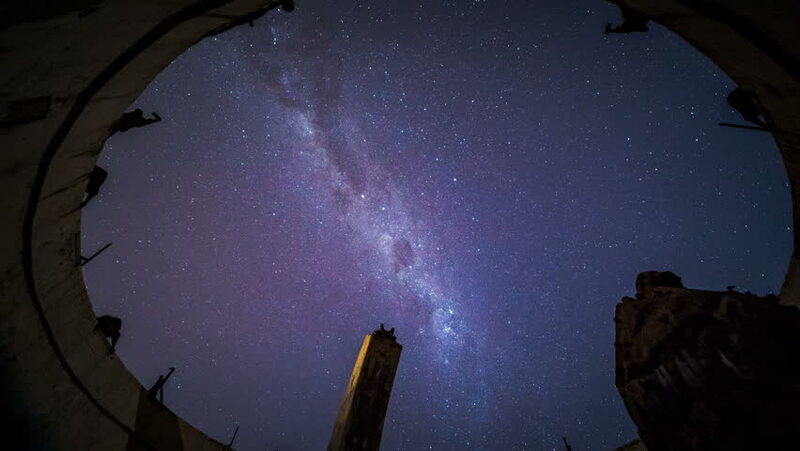 An ultra high definition time lapse of the Milky Way taken from inside a ruined telescope dome at Mount Stromlo Observatory, Canberra. 4k00:06Time lapse: Clear Starry night and milky way view of a secluded beach at East Malaysia with a silhouette rocks and unknown human. Sabah, Malaysia.